carrefour de l'air, premiéres infos ! 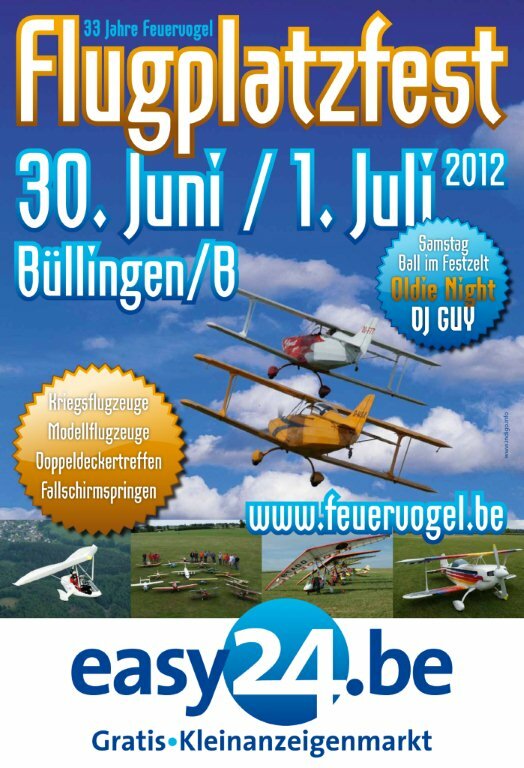 You can live the event on video thx to the Anciens aerodrome team. Subject: carrefour de l'air, premiéres infos ! Premier reportage, on s'installe ! Un peu difficile de charger les videos depuis le hall concorde mais vous allez avoir des textes d'information ! Les videos seront chargées dans la soirée ... Peut être pas du direct mais du différé ! aangevuld met een aantal opmerkelijke, onuitgegeven collectiestukken, onthult het Jubelpark nu de schatten die soldaten vroeger in hun zakken meedroegen, met de expo "Hebben en houden van de soldaat tussen leven en dood", een tentoonstelling van onze Zweedse collega's. Nog in het KLM en zeventig jaar na de feiten – de Slag om de Ardennen – is Augusta Chiwy, een vergeten Belgische heldin, of zeg maar de verpleegster waarvan men elk spoor bijster was, gehuldigd. Ze werd gedecoreerd met de Amerikaanse medaille voor humanitaire burgerverdienste. on avait perdu la trace, Augusta Chiwy, a reçu la médaille du mérite civil américaine. 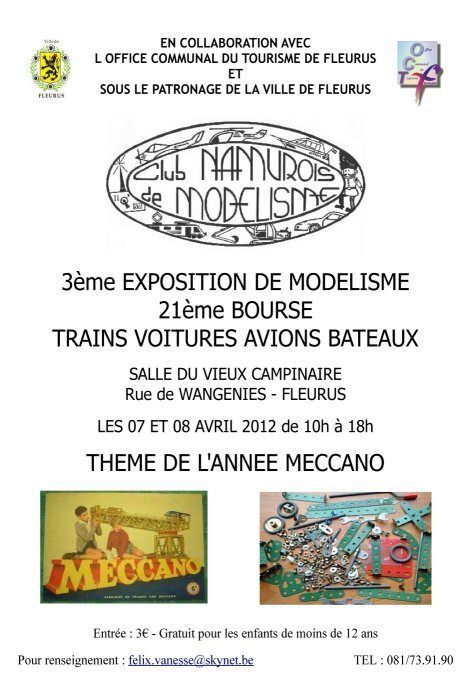 Expo "Patrice Courcelle" verlengd tot 20 mei 2012- prolongée jusqu'au 20 mai 2012 !!! Patrice Courcelle is een rechtstreekse afstammeling van de grote veldslagschilderers uit de 17de, 18de en 19de eeuw, die met hun schilderijen kostbare historische informatie aanleveren. De kunstenaar stelde zijn werken reeds in prestigieuze oorden tentoon, zoals het Musée de l'Armée voudois in Zwitserland, de Militaire School in Parijs, de Union League Club in Chicago of de mythische officierenschool van Saint-Cyr Coëtquidan, nu is het de beurt aan het Koninklijk Legermuseum. Patrice Courcelle se place dans la parfaite filiation des peintres de batailles du 17e au 19e siècle, dont les oeuvres sont aujourd'hui de précieuses sources historiques. Après avoir exposé ces dernières années dans plusieurs lieux prestigieux, tels le Musée de l'Armée Vaudois en Suisse, à l'Ecole Militaire de Paris, à l'Union League Club de Chicago ou encore à la mythique école d'officiers de Saint-Cyr Coëquidan, l'artiste présente cette fois ses oeuvres au Musée Royal de l'Armée. Pendant la guerre, la survie d'un soldat ne dépend pas uniquement de ses armes. Elle est aussi liée à tous ces objets familiers comme des jumelles, une boite de conserve, une pelle ou encore un dictionnaire. Interesting article and one I can actually relate (sort of) to. When I returned from my year in Southeast Asia (66-67) I went back to school at the U of Minnesota. I rented the upstairs of a small house in St. Paul from a sweet little lady by the name of Marie Haywood. I had been living there for several months and had an occasion to be in her living room when I saw hanging on the wall a Nationalist Chinese flag, a AVG banner, and several other pieces of memorabilia obviously Flying Tiger related. Naturally my interest was aroused and I asked about them. Turns out that her son, Tom, was a pilot for the AVG and survived his "tour" in China and returned with this stuff. Marie was widowed and lived there with her daughter but I never saw anyone else there. I asked where Tom was and she said he was living in California and working for Flying Tiger Air Transport Services ( can't recall if that was the actual name). He was a pilot for them until he had a heart attack and was grounded but continued in some other capacity. She had a book that had been written about the Flying Tigers and she let me read it and it had several pictures and "mentions" in it about him. 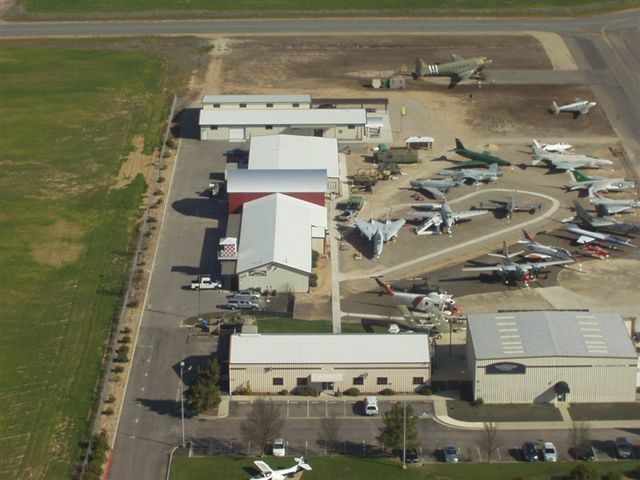 We have a museum here in Nampa (Boise Area) called the Warhawk Museum with the main emphasis on WWII and the P-40 aircraft. They have several of these aircraft and, as I understand, they were part of the filming of Tora, Tora, Tora. It has a lot of P-40 and AVG memorabilia and there is one picture of a group of guys and Tom Haywood is in it. Anyway, interesting and it was good to revisit that piece of history. C'est là que se trouve l'ancien K-11 de la F.Aé. On le voit d'ailleurs sur les photos. These photos show how our Museum has expanded. The "Red" structure between two buildings, is our newest project. We may not be finished in time for the May 19th Car Show but we are trying! Votre client de messagerie ne lit pas ou n'est pas configuré pour lire le HTML. 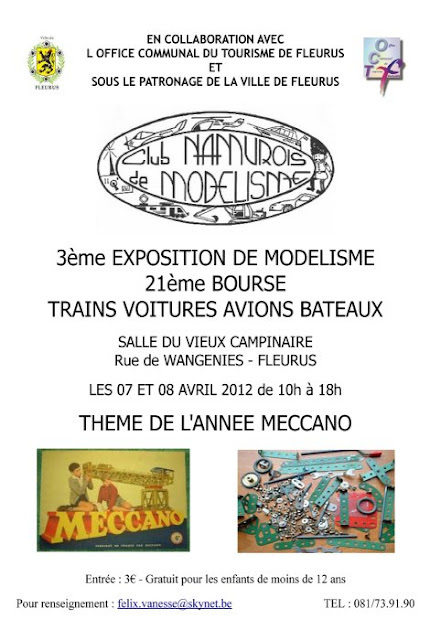 Rendez-vous au musée ce week-end pour le 2nd rassemblement des musées aéronautiques : musées, associations, collectionneurs... Vendredi, rencontres "Collecter, conserver et valoriser le patrimoine aéronautique", samedi, fly'in de machines d'exception, samedi et dimanche : rencontres et échanges avec 42 exposants dans le hall Concorde. Ouvert à tous, accès gratuit. Les Fouga ont fugué... Faites-les revenir ! 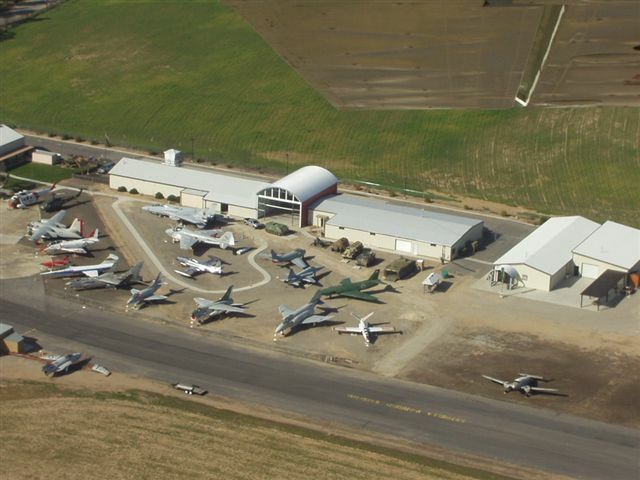 Les trois Fouga, figures de proue du musée, vont subir une restauration complète avant de retrouver leur emplacement initial : l'entrée du musée. Pour retrouver une livrée flambant neuve, ils ont besoin de VOUS ! En donnant, votre nom sera associé à cette restauration, et vous obtiendrez un reçu fiscal pour réduction d'impôts. Brussels Airlines, Belgium's biggest carrier, threatened to relocate if the government did not offer tax breaks to help it compete against Ireland (Xetra: A0Q8L3 - news) 's low cost giant Ryanair, De Morgen daily reported on Wednesday. "Ideally, we'd like to stay in Belgium, but this can't go on," Brussels Airlines chief executive Bernard Gustin told officials according to the paper. "If you are not ready to do something against the distortion in competition, we'll go looking for another headquarters," he told the officials. The paper reported that the carrier, a spin-off of the now defunct Sabena Airlines, was exploring a move to Luxembourg or Ireland, destinations that offered fiscal advantages to employees, notably pilots. The paper added that the request met with reluctance by the government of Prime Minister Elio di Rupo who is resisting tax breaks to individual companies while the country struggles to implement austerity reforms. Brussels Airlines, in which Germany's Lufthansa (Xetra: 823212 - news) holds a 45-percent stake, employs 3,300 people and operates 300 flights a day to 70 destinations from its hub at Brussels airport. Ryanair uses a regional base in Charleroi, 40 kilometres (25 miles) from the Belgian capital. Last week the European Commission said it had extended the scope of an investigation opened in December 2002 into advantages granted Ryanair when it set up operations at Charleroi. In 2004, the Commission cleared some public support from Belgian authorities in favour of Ryanair but ordered the company to repay other aid deemed incompatible -- only for an EU court in 2008 to rule that the Commission had not followed procedures correctly. Ryanair has frequently raised complaints of state aid granted to other European airlines to EU competition bosses. In het najaar wordt in Deurne gestart met de ondertunneling van de Krijgsbaan, waardoor de aanpalende luchthaven van Antwerpen in regel zou moeten kunnen blijven met de internationale voorschriften. De Vlaamse regering heeft het bestek voor de ondertunneling goedgekeurd, waardoor de aanbestedingsprocedure kan worden opgestart. Volgens internationale voorschriften moet de luchthaven van Antwerpen in het verlengde van de startbaan een veiligheidsstrook aanleggen, maar dat wordt bemoeilijkt door de aanwezigheid van de drukke Krijgsbaan. Het project is al jarenlang voorwerp van felle discussies. Eerdere plannen om een halfingegraven omleiding aan te leggen, werden door de Raad van State afgewezen. Nu zal er op het traject een tunnel van ongeveer 420 meter worden aangelegd. De ondertunneling past ook in de plannen van het Masterplan dat de verkeersproblemen rond Antwerpen moet proberen aan te pakken. Posing tentatively in their uniforms, at first glance they could be a Lancaster Bomber crew preparing for a daring war-time mission. But these photos were not taken 70 years ago, but this week at the Lincolnshire Aviation Heritage Centre - the former Lancaster bomber base at RAF East Kirkby. 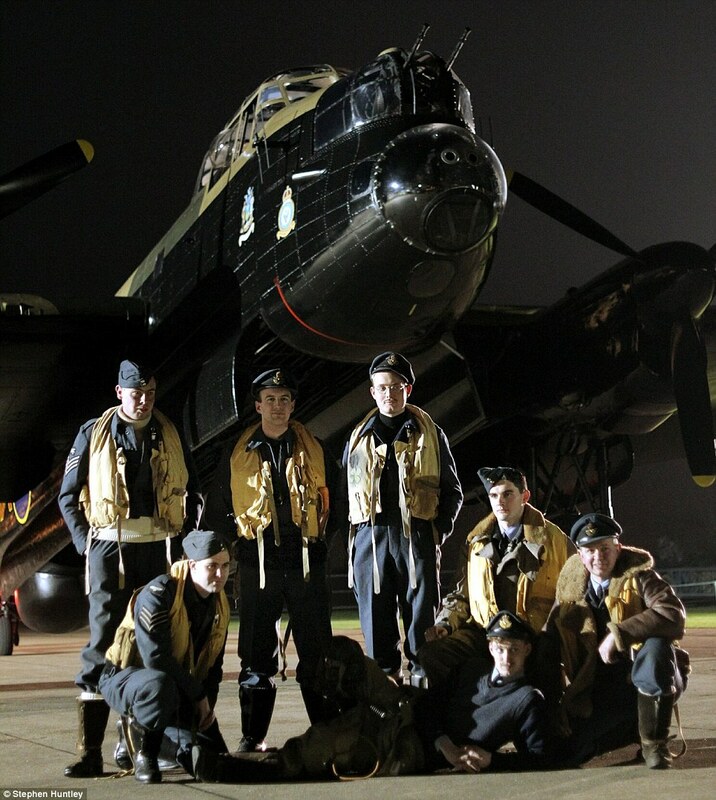 Admirers of the war-time planes stepped back in time to relive the sights, sounds and smells of the famous bomber which helped destroy the Nazi war machine. Event will be one of biggest gatherings since WWII. WRIGHT-PATTERSON AIR FORCE BASE — The storied Doolittle raid on Japan during some of the darkest days of World War II will be relived next month here with one of the largest gatherings of B-25 Mitchell bombers since World War II. At last we can announce the destination of the 2012 missions: the Kingdom of Morocco! This spring, Solar Impulse will attempt another world first by flying more than 2,500 km, without using a drop of fuel, and landing in Morocco. This trip will coincide with the launch of construction in the region of Ouarzazate of the largest thermo-solar power plant ever built. In May or June, Solar Impulse will take off on this trip, its longest ever, flying over the Pyrenees and the Mediterranean. Bertrand Piccard and André Borschberg, who will have a 48 hour flight ahead of them, will change places on board during a planned technical stopover in Spain. This long duration flight will act as a dress rehearsal for the round-the-world flight in 2014. It will also allow the Mission team do some final training in the procedures of cooperating with international airports, integrating the prototype HB-SIA into air traffic and providing the logistics for servicing the airplane. We will of course let you know the exact departure date of this new mission as soon as it is known. Like the European flights, we will be transmitting this mission live on our website. The whole Solar Impulse team thank you for your support and are delighted to share their adventures with you first! Nous sommes très heureux de pouvoir enfin vous annoncer la destination des Missions 2012 : Le Royaume du Maroc ! Solar Impulse tentera ce printemps, en première mondiale, de parcourir sans une goutte de carburant plus de 2'500km pour atterrir au Maroc. Ce voyage coïncidera avec le lancement de la construction dans la région de Ouarzazate de la plus grande centrale thermo-solaire jamais construite à ce jour. Au courant du mois de mai ou de juin, Solar Impulse s'envolera pour son plus long périple en survolant les Pyrénées et la Méditerranée. Bertrand Piccard et André Borschberg qui devront assurer un vol de 48 heures, se relayeront à bord à l'occasion d'une escale technique prévue en Espagne. Ce vol de longue durée fera office de répétition générale avant le tour du monde de 2014. Il permettra à l'équipe Mission d'entrainer une dernière fois la coopération avec les aéroports internationaux, l'intégration du prototype HB-SIA dans le trafic aérien et la logistique de maintenance. Nous vous tiendrons évidemment informés de la date exacte de départ pour cette nouvelle mission dès que celle-ci sera connue. Comme pour les vols Européens nous transmettrons en direct cette mission sur notre site internet. Toute l'équipe de Solar Impulse vous remercie de votre soutien et se réjouit de partager ses aventures en premier avec vous ! Wir freuen uns sehr, dass wir Ihnen endlich das Flugziel der Missionen 2012 mitteilen können: Wir fliegen ins Königreich Marokko! Solar Impulse wird in diesem Frühjahr den Versuch unternehmen, als Weltpremiere 2500 km ohne einen einzigen Tropfen Treibstoff zurückzulegen, um anschliessend in Marokko zu landen. Diese Reise wird mit dem Beginn der Bauarbeiten für eine Solaranlage in der Umgebung Ouarzazate zusammenfallen. Dabei handelt es sich um das grösste thermische Solarkraftwerk, das je errichtet wurde. Im Mai oder Juni wird Solar Impulse zu seiner bislang längsten Reise starten und die Pyrenäen und das Mittelmeer überfliegen. Bertrand Piccard und André Borschberg, die einen 48-stündigen Flug absolvieren müssen, werden sich bei einer technischen Zwischenlandung, die in Spanien erfolgen soll, an Bord ablösen. Dieser Langzeitflug wird als allgemeine Repetition vor der Weltumrundung im Jahr 2014 dienen. Er gibt dem Mission-Team die Möglichkeit, ein letztes Mal die Zusammenarbeit mit den internationalen Flughäfen, die Integration des Prototyps HB-SIA in den Luftverkehr und die Wartungslogistik zu trainieren. Selbstverständlich werden wir Ihnen das genaue Abflugdatum für diese neue Mission mitteilen, sobald es bekannt ist. Wie bei den Europaflügen werden wir auf unserer Website über den Webcast live über diese Mission berichten. Das ganze Solar Impulse Team dankt Ihnen für Ihre Unterstützung und freut sich, seine Abenteuer mit Ihnen zu teilen. Bien à vous et bon plastiquage. 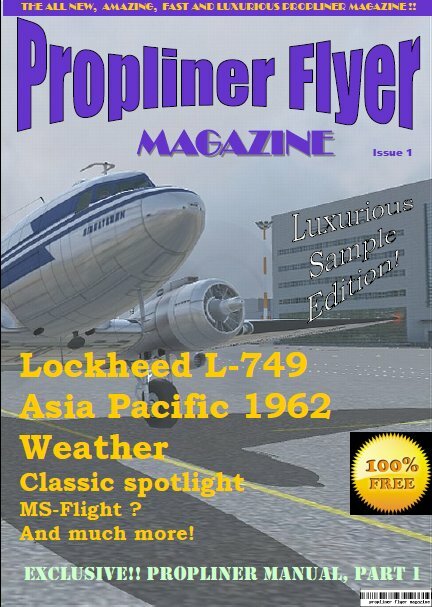 un peu de nostalgie et retour sur le glorieux passé des belles années de l'aviation civile. Video: "One of Our Aircraft Is Missing (1942)"
During the Allied Bombing offensive of World War II the public was often informed of overnight raids that resulted in a missing plane. Behind these sombre announcements hid tales of death and destruction. This is the story of one such bomber crew who was shot down and assisted home by a group of brave Dutch patriots. Ce we aura lieu au MAE du Bourget le carrefour de l'air 2012. Nous allons également essayer de mettre en ligne sur notre site, durant tout le we de courtes videos sur l'exposition (si la connexion est possible !). Ainsi, nos membres ne pouvant être présents et nos correspondants pourront suivre l'actualité de l'exposition. Présentation également de notre site Internet avec l'Atlas en ligne. 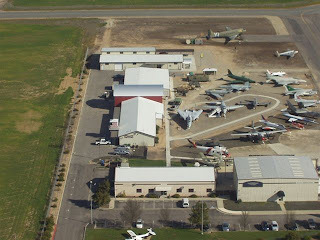 Nous présenterons également en souscription notre n°3 consacré à l'histoire de l'aérodrome de Coulommiers-Voisins. 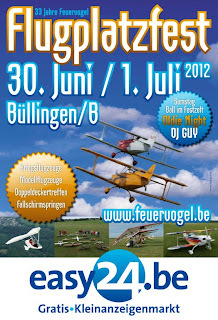 The Aviation Bookshop will be attending the IPMS MOORSELE model show on April 1st 2012 -Venue O.C MARKE, HELLESTESTRAAT 6, BELGIUM. Old time memories . Dont miss the related video's ! Some kind soul uploaded the full Paramount movie of ''Strategic Air Command" with James Stewart and June Allyson, in its entirety on Youtube. 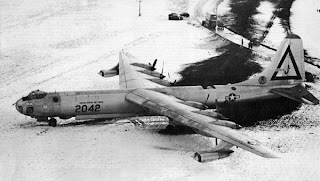 Despite its size and relatively low power, B-36 pilots (like their predecessors and successors in the US Air Force) sometimes pushed their aircraft to the limit. This was the case with a very low-level pass over a residential area of Fort Worth, Texas, in 1954. Here's the 1954 film of the low pass. I can see why those living there objected! Quite often, the B-36 would be called upon to demonstrate how quickly it could get off the ground, especially when loaded with a minimum amount of fuel. On a Sunday afternoon in October 1954 a group of firemen were having a convention in town and were on a tour of the Base. In order for a person to draw his flight pay he was required to fly at least fours a month, and 100 hours each year. Thad Neal's crew was scheduled for a two or three week leave in October, so in order to get in the required flying time this pilot proficiency mission was set up for the crew. I believe it was on a Sunday afternoon. Before leaving home for the Base that morning, Thad called and told me to have Rin (my wife) standing by with the movie camera. I knew he had visitors and that he wanted them to get a good look at the plane, so I expected that it would be a low flyover but had no idea just how low he planned on making it. The visiting firemen were on the ramp at the time of our take off so Thad was directed to make a maximum performance takeoff and then come around with the low pass over. 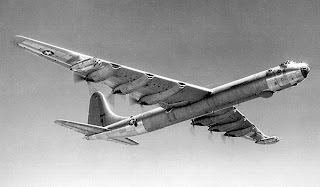 With a minimum fuel load the B-36 really got off the ground in a hurry. We taxied onto the runway heading south and set the brakes. Thad called for full power on the six recips and four jet engines. That old bird started to stutter and seemed to skid until the brakes were released. I don't think we used a thousand feet of runway before breaking ground. We leveled off at four thousand and headed to the north end of Eagle Mountain Lake at 4,000' before turning south and heading for the north end of the runway. When over Eagle Mountain Lake the plane turned south. With "six turning and four burning" the plane headed directly for the north end of the runway. In a shallow dive with full power the plane skimmed down the runway at almost no altitude. I don't know how fast we were going but it had to be at least 180 mph. Thad kept right on the deck for the whole length of the runway. I was sitting in the glass nose and had a good view. The operators in the GCA shack alongside the runway took a dive for the ground as the plane approached with the props almost ticking the concrete. Thad had originally planned on flying directly over his house. Between the Base and West Ridglea the ground rises maybe a hundred feet so. Thad could not get a true bead on his house from the low altitude so he flew down the road where Ridgmar Mall sits today. Climbing over the small ridge he soon spotted his house just a wee bit off to the left. Still following the terrain he pushed the nose down a bit again but did not dare to drop the wing in a turn. After crossing he ridge, the land gradually gets lower until it reaches Mary's Creek. We stayed on the deck all the way and then part way down highway 377. Then we climbed back to altitude and my log book show we flew for six hours. Trinka was in her front yard filming the approach, until frightened, when she dropped the camera. Rin had heard us takeoff so she got our camera and sat on the back porch to wait for the next event. It came so fast and caught her by surprise so that all she could do was step off the porch and shoot between the two houses. She did get a short blip of film as we passed about a block away. She did run out front and got a few feet as we few down the hill to the Creek, then she went in the house and poured herself a stiff drink. As we flew down the highway I recall seeing cars stop and people head for the ditches. Several years later I was telling this story to some co-workers at General Dynamics and one man told me that he was one of those that had sought shelter in a ditch. We landed and went home to prepare for our vacation not realizing the furor that was going on in Headquarters. One man had called in demanding that his TV antenna be returned. He claimed that a jet pod had removed it from his roof. One character even claimed that the jet exhaust had set fire to a phone pole. There were claims about cracked plaster and pictures that had fallen from the walls. There was such a fuss raised that General Jack Ryan the 19thAD CO had to take some action. Early the following morning before we could get away, Thad called and said not to leave. General Ryan wanted to talk with all of us. We met at his office and one by one had to go in to give our version of the whole episode. When it was all over he had to fine Thad. I believe it was for $250.00 and he was taken off the promotion list for a couple of years, but as he left the General's office, General Ryan told Thad that was the best buzz job he had ever heard of. It didn't hurt his career either. He would serve as a Commander at Wichita Falls, and then in the Pentagon before going to Florida. He retired as a Lieutenant Colonel. Thad was killed in a crash in the early 60's while training in C-123's in Florida. The training was preparing him for duty in Viet Nam, defoliation, I think they called it. In the middle of a low altitude turn he lost an engine and went down. Here's one story after an 'interesting' landing in England. In January 1952, Jim Conner and crew were heading for Boscombe Down near Salisbury, England. 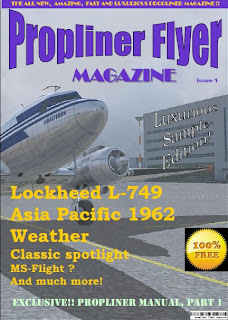 The area was covered by a snowstorm and there was no radar or other sophisticated approach system with landing lights. The spire on Salisbury Cathedral had recently been rebuilt and aircraft warning lights installed. After orbiting this light for some time, Conner saw what he thought were approach lights for the field, and he started a descent. Unfortunately, those were not approach lights but were lights on one side of a funnel lighting system. (The theory was that if a pilot picked up one of these strings of lights and flew on the inside, he would soon see the other line and this would guide him to the end of the runway.) The landing appeared to be routine until touchdown when they went through a ditch, across a road and through another ditch, scattering haystacks as they rolled along. Art Fisher was one of the scanners and remained at his station in order to shine a lamp on the number four propeller so that people would not walk into it. This engine had been kept running so that electrical power would be available on the plane. People were milling around in the dark, and could easily walk into the spinning blades. A story is that an Englishman came up to the crew. He welcomed them to England and, pointing off into the distance, told them the airport was about a quarter-mile straight ahead. Then, with typical English dignity, he tipped his hat and strolled away. 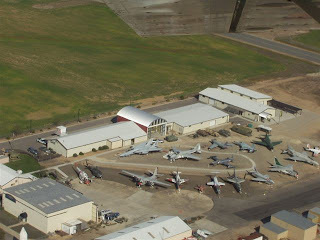 Pierced Steel Planking (PSP) was put into place, the plane was towed to a hanger, washed down and flown back to Carswell by Walter Chambers about a week after the other planes returned. Bonjour à toutes et à tous, vous trouverez en Pièce Jointe le programme général de notre manifestation MOLINES MODEL'SHOW qui se tiendra les 25/26 août 2012 à Molines en Queyras (05, France). Merci de le diffuser à vos adhérents. N'hésitez pas à nous contacter pour plus de détails (un flyer est en préparation). Cordiales salutations de l'équipe d'ANIMAGNEL. Video: "OV-10B Bronco Demo Team"